The nuclear world is bifurcating. Along one fork sit those favouring the nuclear ban treaty—affronted by the ongoing role that nuclear deterrence plays in key global and regional security arrangements, appalled by the prospective humanitarian consequences of any direct use of nuclear weapons, and determined to beat swords into ploughshares at the earliest opportunity. 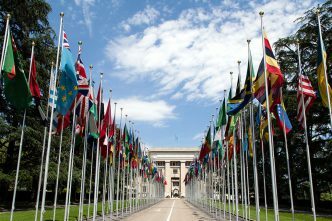 Along the other sit those committed to nuclear deterrence—firmly attached to the idea that nuclear weapons make a positive contribution to international security, worried by the prospective return of great-power conventional war, and dedicated to modernising strategic nuclear-weapon systems for future decades. We get a nice snapshot of that second fork by looking at the current modernisation plans for the US Trident D5 submarine-launched ballistic missile. Since submarine-based nuclear weapons tend to be the least vulnerable, and therefore the best suited to secure second-strike missions, they’re unlikely to be beaten into ploughshares anytime soon. And by ‘anytime soon’, I mean anytime before 2060 or 2070, which is about as far ahead as current modernisation planning sees. In Western arsenals, submarines carry a disproportionate share of the load of strategic nuclear deterrence. 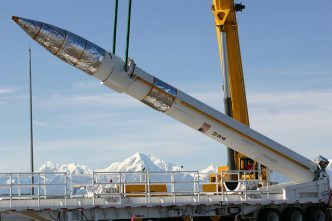 When the New START Treaty deadlines come into force on 5 February next year, about 70% of deployed US strategic nuclear warheads will be based on the Trident D5s (1,090 out of the allowable 1,550 warheads). And the missile already supports 100% of the UK’s nuclear deterrent—as it has done since 1998. (In Britain’s case, the American-manufactured missiles are mated with nuclear warheads of British design and manufacture.) So the importance of the Trident life-extension program should come as no surprise. Life-extended Trident D5 missiles were introduced to the US Navy earlier this year. 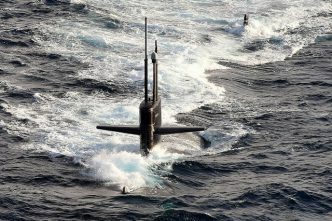 They’ll be the weapon system that links the current Ohio-class submarines to the future Columbia-class ones. The Ohios are forecast to move out of service between 2027 and 2040. But the incoming Columbias—the first is scheduled to enter service in 2031—will continue to deploy the Trident. And a common missile compartment, designed to house the missiles, will be a feature of both the Columbia design and the incoming British Dreadnought-class submarines, which will begin to replace the current Vanguard class from 2028. 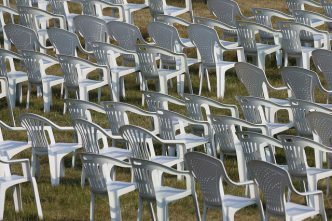 Just how long can the Tridents last? Well, that’s a moot point. The life-extension program is a major undertaking. Some years back, the director of the US Navy’s strategic systems programs suggested that the two main challenges involved ‘determining the service life of the three-stage boost motors that comprise the missile propulsion system and modernizing the extremely complex D5 guidance system and missile electronics’. US sources suggest the missile is meant to remain in service until 2042. But that date’s probably a conservative estimate. Both Washington and London anticipate relying on sea-based nuclear deterrents into the 2060s and 2070s, and probably beyond. Retrofitting a new missile into the common missile compartment at some point is surely possible. (After all, back in the late 1960s the Poseidon C3 was designed to use the same launch tubes as the smaller Polaris A3.) Still, much will depend on future assessments of the D5’s ongoing reliability. The Americans like to get value out of their strategic weapon systems. It’s not out of the question that a weapon system first deployed aboard the USS Tennessee in 1990 could celebrate its 60th birthday still at sea. US Navy documents note that ‘life extension efforts will push the Trident D5 missile’s service life beyond that of all five previous systems combined’. (Those include the Polaris A1, A2 and A3, the Poseidon C3, and the Trident C4.) That’s impressive. Still, long-lived strategic weapon systems can also be found in the other two legs of the US nuclear triad. 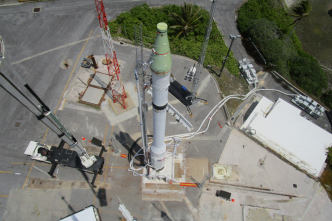 The US ICBM, the Minuteman III, first entered service in 1970—and current plans suggest it won’t retire until 2030. Meanwhile, the B-52 strategic bomber first saw service in the 1950s, and some tens of the H variant (the last of which rolled off the production line in October 1962) will still be part of the US strategic arsenal formally limited under New START. What does all that tell us? Well, nuclear modernisation efforts aren’t undertaken lightly—necessity is typically the driver. 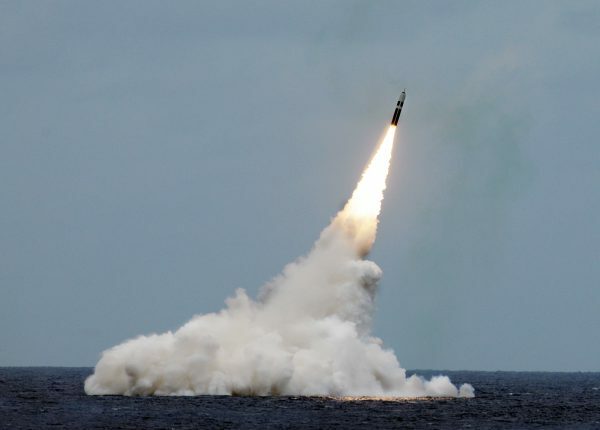 The Americans and the British have embarked on a modernisation program for the sea-based leg of their nuclear triad which is intended to ensure a safe, secure, effective arsenal for the next 50 years. Lest readers imagine that Washington and London are forcing the pace in nuclear modernisation, let me assure you that they aren’t. Russia’s already well down this path. China’s making serious efforts to nurture its own sea-based nuclear capabilities. And France is currently retrofitting its new M51 missile to its Triomphant-class ballistic-missile submarines. Conclusion? Nuclear weapons aren’t about to disappear from the world. Rod Lyon is a senior fellow at ASPI. Image: US Navy photo by John Kowalski via US Strategic Command.